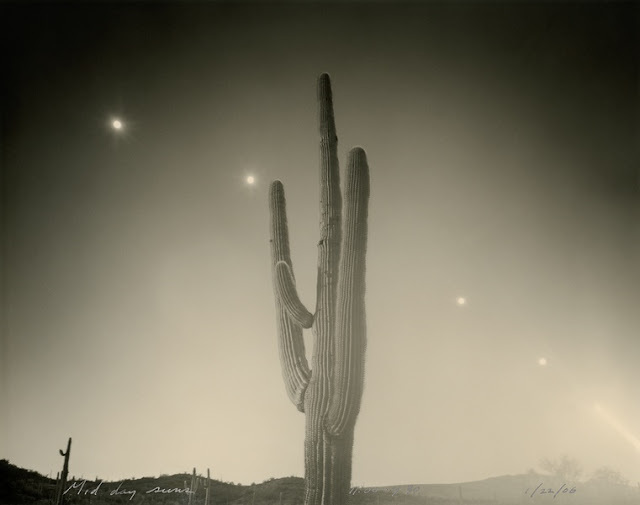 We are pleased to announce an new portfolio of images from photo-eye Gallery photographer Mark Klett. 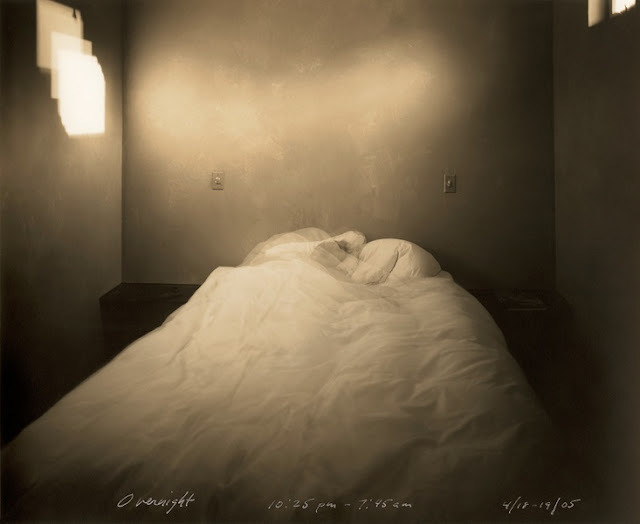 Time Studies is Klett's experimentation with photography and the passage of time. The beautiful toned silver gelatin prints in this series are strangely surreal -- at once crisp and blurry, the sun often appearing in multiple locations. The images are the result of long exposures, capturing time as it elapses in front of the lens. Klett was kind enough to tell us a bit more about the work. "In 2004 I began making a small group of photos that I thought of as 'time and space equations.' The work was based on some simple questions: how long is a 'moment' in time, and how do photographs express duration, or lengths of time? "In practice the moment of any photograph is a fixed length of time corresponding to the camera’s exposure. Usually this is instantaneous, often faster than the eye can see. But the camera is also capable of describing events that occur too slowly for the eye to see; and photographs can show us a world that exists virtually unobserved within conventional experience. In the world of the camera, a period of long duration or multiple points in time may exist side by side as the expression of one moment on a single sheet of film. See Mark Klett's portfolios here. Numerous books of Klett's photographs have been published, the most recent are The Half-Life of History. The Atomic Bomb and Wendover Air Base from Radius Books and Reconstructing the View. The Grand Canyon Photographs of Mark Klett and Byron Wolfe from University of California Press. See all of Klett's books here. 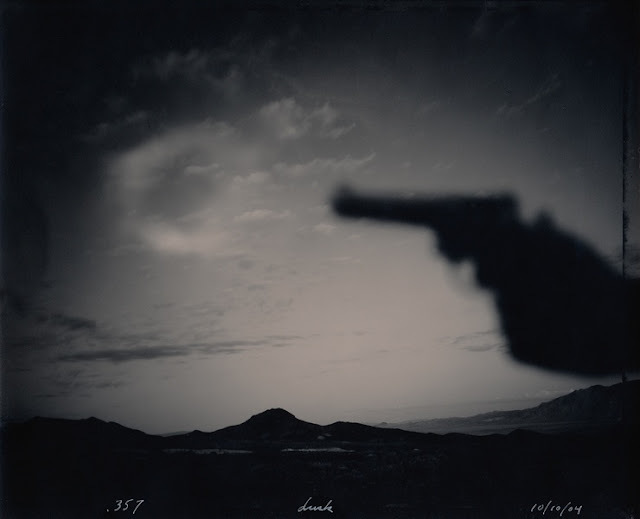 For additional information about Mark Klett or to acquire a photograph, please contact the gallery at (505) 988-5152 x202 or by email.